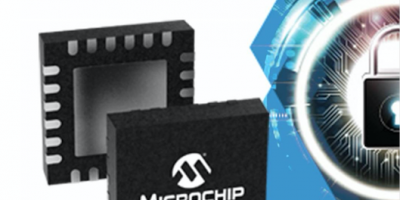 Development distributor, Farnell element14, has announced the availability of the Microchip SAM L10 and SAM L11 Xplained Pro evaluation kits and associated microcontrollers. The devices are claimed to be the industry’s lowest-power 32-bit microcontrollers as well as the first to offer chip-level security and Arm TrustZone technology. According to Farnell element14, the SAM L10 is the industry’s lowest power microcontroller in this class and allows users to develop secured applications without the battery constraints of less power-efficient microcontrollers. Its low power consumption makes it suitable for a range of IoT applications in areas such as wearable devices, gaming controls, energy harvesting, smart pens and low-power industrial sensor nodes. The SAM L11 features integrated hardware security for IoT nodes, remote keypads and authentication systems for smart cities and home automation, industrial automation or medical devices. The microcontrollers run at 32MHz with memory configuration of up to 64kbyte flash and 16kbyte SRAM. They also have low power consumption and an enhanced peripheral touch controller for capacitive touch interfaces to be incorporated into appliances, fitness trackers, automotive door handles, key pads or remote controls. The interface is four times faster than previous generations of peripheral touch controller and provides highly-responsive and accurate touch sensing, says Farnell element14. It is supported by the QTouch Configurator and QTouch Modular library, designed to add elegant touch interfaces to designers’ applications. Both devices are available in 24- and 32-pin package options. The SAM L10 and SAM L11 are built with picoPower technology to provide flexible power saving modes. They are also claimed to be the industry’s lowest power microcontroller in their class with an EEMBC certified ULPMark of 405. Power debugging and data visualiser tools are available to monitor and analyse power consumption in real time, helping developers optimise system designs for lower power consumption with improvements in battery life. The chip-level security incorporated into SAM L11 MCUs is based on Arm TrustZone technology to help protect against both physical and remote attacks, together with a security framework to simplify the implementation of security. IoT nodes driven by a SAM L11 provide strong resistance to remote software attacks, thereby increasing the reliability and avoiding any downtime of the critical functions of the nodes, says the company. The chip-level tamper resistance will help protect from cloning and intellectual property theft. Both microcontrollers are available as development kits: the SAM L10 and SAM L11 Xplained Pro Evaluation Kits. These are fully supported with security, low-power and touch demos to accelerate development and help customers get their designs to market faster.